Information and communication technologies (ICTs) for development is a growing field of study. There has also been an increasing interest in how access to ICT, such as connecting to the Internet, might impact social and economic development by, for example, giving access to unlimited knowledge (e.g. e-learning), providing health-related services (telediagnosis) and offering businesses opportunities (e-commerce), employment opportunities and access to government services (e-Government websites) (Siew et al. 2013). 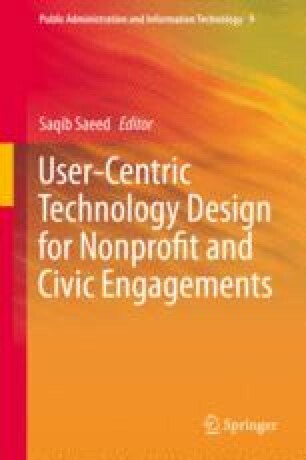 In all such development projects, two critical success factors are the degree of the users’ satisfaction of the technology and the degree to which the services offered by the technology address the primary needs of intended beneficiaries (Dearden 2008). The purpose of this research project, as discussed with and understood in the community of Long Lamai, upper Baram, Miri Sarawak, is to gather, document and disseminate Penan Indigenous Botanical Knowledge. The scope of this research project, as discussed with and understood in this community, is the initial partnership between ISITI-CoERI from UNIMAS and Ngerabit eLamai (Telecentre) from Long Lamai community. ISITI-CoERI will assist the Ngerabit eLamai and Long Lamai community by developing ICT-based data collection and content management systems, training for digital data collection and processing and priding the scientific names of the identified botanical plants. Ngerabit eLamai will provide the services of the telecentre. The Long Lamai community will arrange activities and provide potential local human resource for training, data collection and IK database management. The development of this project is based on sincere communication between community members and researchers. All efforts will be made to incorporate and address local concerns and recommendations at each step of the project. Community training and participation, as agreed, are to include PDD collection and processing. The community will provide human resource for data collection. The community will learn how to use digital equipment through games and exercises facilitated by outsiders. The elders of the community will identify and analyse potential knowledge assets and practices in their community. The facilitators will help in designing and developing suitable digital media to manage the knowledge resources. The content messages are collected and processed by the local groups. The contents are shown to the wider community. The contents would be uploaded to secured database. The process of data collection about the plants to be led by the community members (elders and youth). The proposed database would base on the needs of the community. The database will contain information of indigenous medicinal plants which the community uses in daily life. Information includes taxonomic data on identified plant, including indigenous names and nomenclature, as well as their local traditional use. Scientific names of the plants are also part of the database. The database entries are complemented by geographical references, based on satellite localisation of areas where materials have been collected. Voice, videos and digital images also form part of the database. As demanded by the community the database would be a “closed” system, and will not make Penan IK publicly available. The data would be generally considered as confidential and conserved with e-instu concept while governed by the local customary laws. To get the scientific names for plants, the pictures of the plants will be provided to botanist. The data collected about the plants is confidential and will be kept secured. All the processing on the plants’ data will be held in Ngerabit eLamai Telecentre where the data will be uploaded to the content management system from data collection devices. The processed data will be kept on external drives and under the custody of IK manager (a community member) who will be selected by the community. The researchers and eLamai will be available to answer questions and assist community members. A final report will be distributed after approval from the community members. Each party will be the owner of the data that is created and/or developed by them and the other party is subject to use license conditions determined by the community and need to obtain permissions for the use of and storage of that data. ISITI-CoERI will have the right to copyright and replicate the process, data collection software and content management system, while the data collected about the plants will be in sole ownership/stewardship (and molong) of Long Lamai community. The research publication, reports and other relevant documents will be translated into the language of the community. Before distribution of the final report with any third party the community will be consulted once again as to whether the community agrees to share this data in that particular way. At the end of the project, the researchers will participate in community meetings to discuss the results of the analysis with community members. The main researchers have received funding and other forms of support for this research project from UNIMAS. The funding agency has imposed the following criteria, disclosures, limitations and reporting responsibilities on the main researchers. To submit a biannually comprehensive report. At least five research publications and one conference presentation. To preserve Penan’s Indigenous Botanical Knowledge which is at risk of disappearing or being eroded. To strengthen the IKMS of knowledge transfer within and between age groups. To revitalise the indigenous identity through knowledge transferin younger generation. To support the maintenance and integrity of indigenous cultures. To store and codify the tacit knowledge which could be a way to intellectual property rights on their knowledge assets. To devise possible mechanisms for secured protection, and preservation of IK, through community initiatives. To collaboratively develop an effective and appropriate means of recording, storing and managing data and information. To develop a sui generis database protection. To develop the capacity of Long Lamai community to record, control, access and use of IK by third parties. For fulfilment of PhD, to design and experiment. To test the Indigenous Knowledge Governance Framework on eToro case study. The researchers will submit a final report to the funding agency at the end of the project. Scientific presentations in peer-reviewed publications and conferences will be made. The final report will be reviewed by community members prior to publication. Scientific presentations will be made and articles published after discussion with the respective community leaders. Recommend capable and reliable community members to collaborate in this project. Keep informed about the progress of the project, and help in leading the project towards meaningful results. To get skills, run and manage the project in sustainable way even after project completion. Inform the community about the progress of the project in a clear, specific and timely manner. Act as a resource to the community on questions related to technicalities of the project. If community leaders decide to withdraw their participation. If the researchers believe that the project will no longer benefit the community.